Paris has been showing up for me this week. I don’t know why. It’s just there. In little thoughts, signs, and messages. I don’t believe in coincidences. I prefer to see these moments more as synchronicity, messages, maps, universal guidance. It started during my Tuesday Brooklyn Snow Play. 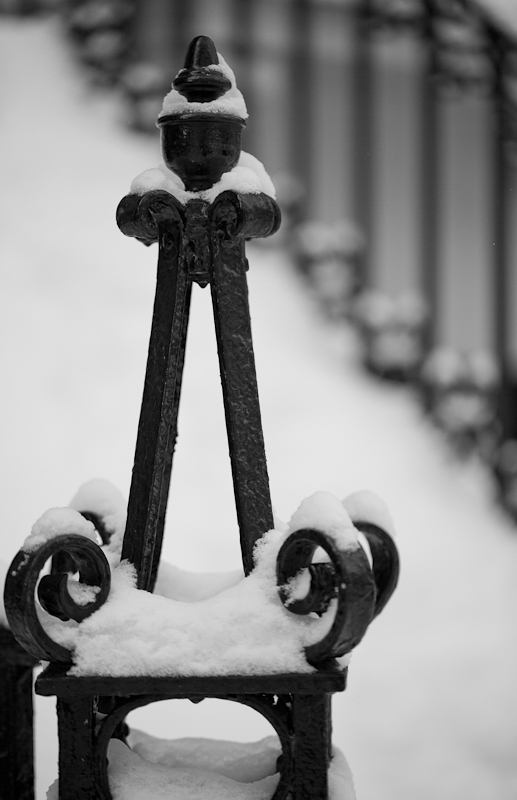 I saw a great piece of Brooklyn ironwork on a Brownstone and as I leaned down to capture it with my camera I remember thinking: Paris, this reminds me of Paris. 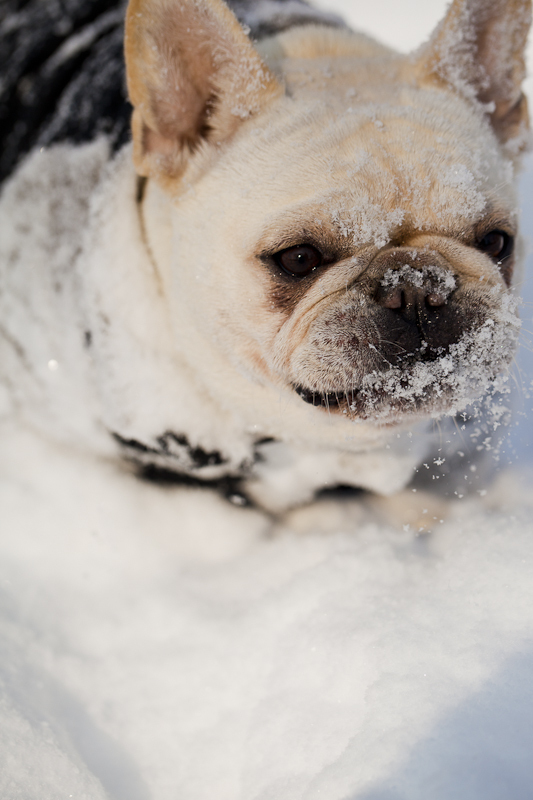 Then there were the pictures I took of a French Bulldog romping in the snow. 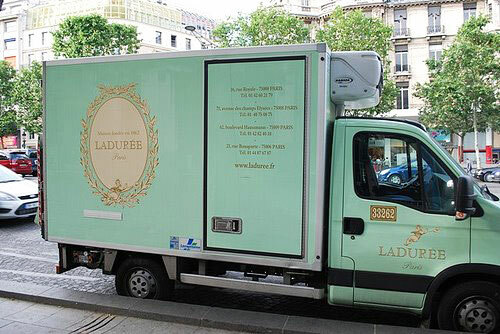 So cute!…and French. Yesterday I was on Twitter and again Paris seemed to be everywhere. I decided to just take a little tour. Maybe there I’d find some reasoning. After all, you can find everything else on Twitter, so why not reasoning. It’s Friday! Off we go to Paris!! 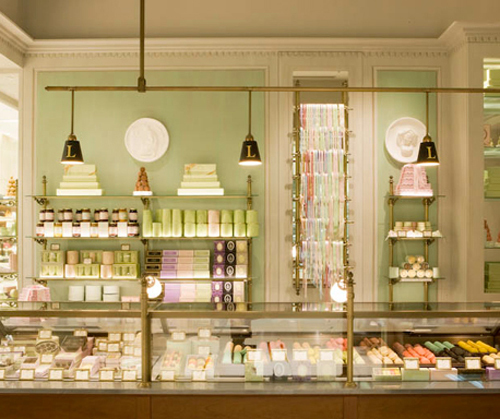 First we’ll stop by Ladurée over on the Twig and Thistle blog. What a way to start the day! 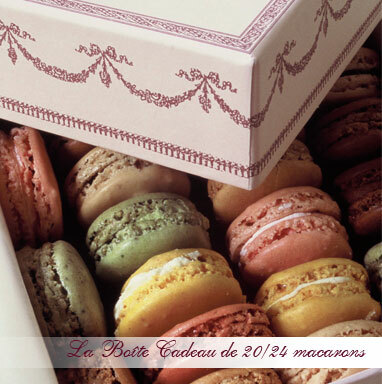 I’ve actually never had a macaroon. My friend Diane says I haven’t lived yet? Meet you here again tomorrow? Of course we must do some shopping while in Paris. 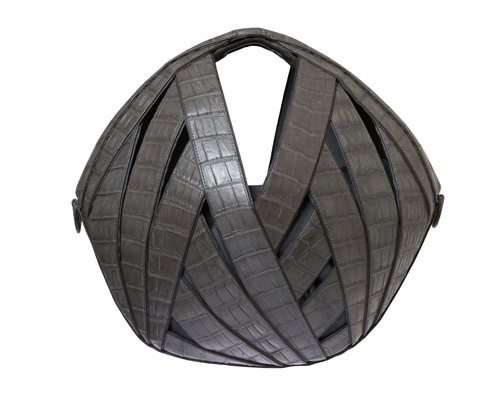 Perrin Paris via Harper’s Bazaar to check out the new Ball Bag. This is my favorite. I’m pretty sure we ALL need to take one of these home as a souvenir of our trip. 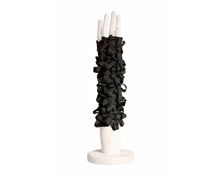 Oh, and I found a pair of gloves also. Perfect for keeping the fingers loose for the perfect photo moments we’ll have in Paris. 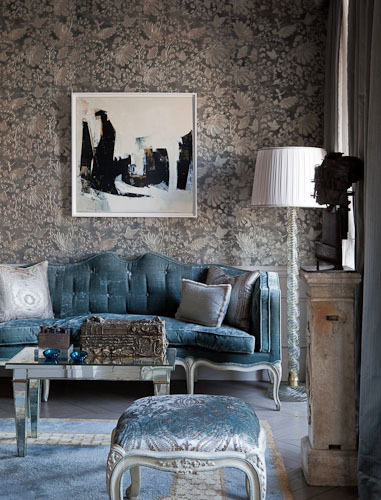 Next, afternoon tea at the Chanel apartment with Kerri over at houzz. I love the painting above the couch. 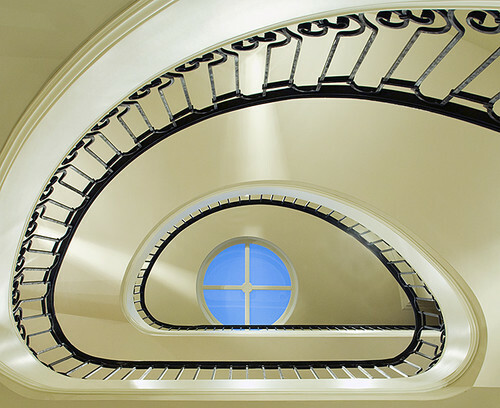 Then we’ll take to the stairs…who wouldn’t want to take to these stairs?? We will close out our trip with my FAVORITE Paris moment from weeks ago with Habitually Chic. I had to reach way back into the archives to re-discover THIS room and THAT couch! I can’t believe I remembered this…on second thought….how can I ever forget this couch?!?!? Synchronicity and messages: As I wrote this blog I was reminded of a goal I set a few years ago that involved Paris. It related to something I realized recently I’ve been avoiding. I’ll keep reading the messages and see where it ends. For now, please, have a seat on the blue couch. If you’ve been getting messages and decide to take a “trip” somewhere fun to explore them my “passport” is ready and I pack quickly. I’m always looking for fun things to do that involve color, so when I found this color profile quiz I had to check it out. It was quick and easy and I got to look at pretty pictures and think about a dream vacation (my selection might surprise you…). Not so surprising, however, was my color profile. 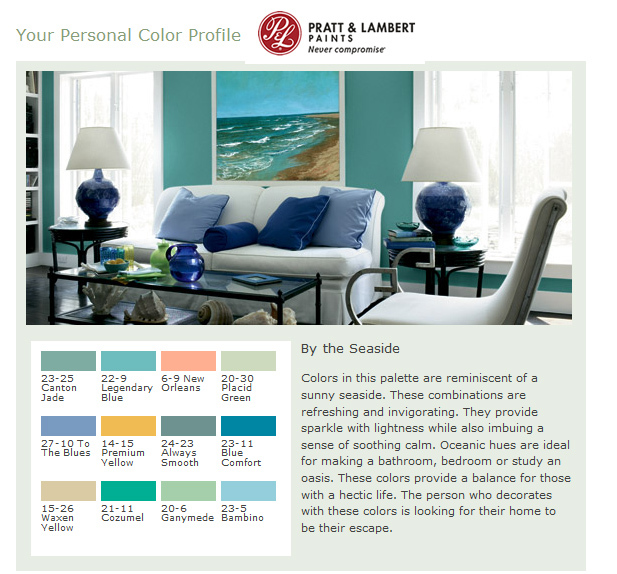 My Color Profile from Pratt and Lambert Paints…Turquoise, Blues, Gold…Perfect!! Right on target! I’m obsessed with turquoise and lately the darker blues have been appearing in artwork I’ve received as gifts or purchased because I felt a connection. My office and living room share a space (like many other New Yorkers, I’m a bit space deprived) and my thoughts lately have been to paint the wall at my “office” location turquoise and the “living” area a deep grey/blue to give it some separation. The test colors are so perfect. Want your color personality? Ready to play with color and dream of your next vacation? Head over to Pratt & Lambert Paints and take your color quiz. Have fun and come back and let me know what your profile is and if it connects with the colors you’ve been dreaming about lately. 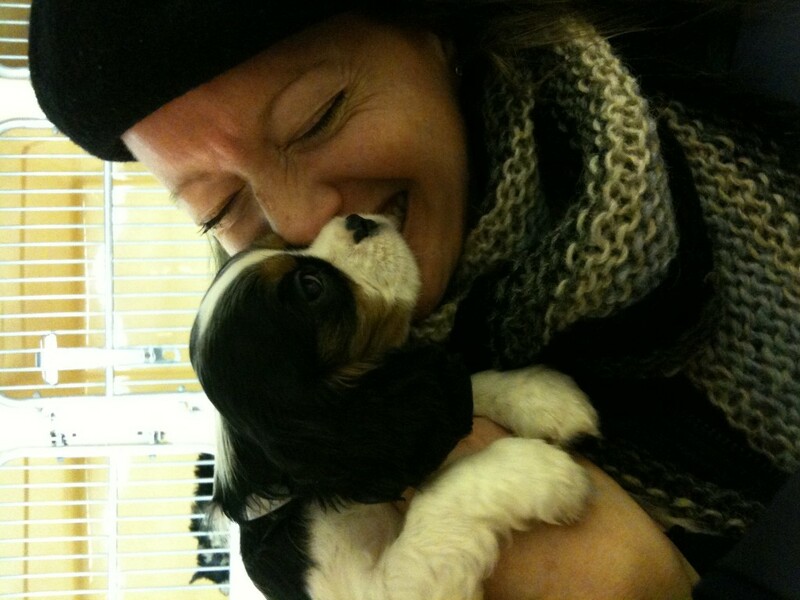 I’ve been living in “dog desire” since December when I met the CUTEST puppy ever at American Kennels in Manhattan. I was on my way to Serendipity with friends when I was “forced” into the store. I don’t frequent pet stores. I know better. I look at the furry little balls of love in the window displays, smile, laugh, take an iPhone pic or two to send to friends or post on Facebook and I’m on my merry way. But on this day, I went WAY beyond. I fell in love with a puppy. I held puppy. I cried over puppy (I’m telling you this was TRUE LOVE). I went BACK to visit puppy….TWICE. I “named” puppy: Turq – King Turq to be exact. Special thanks to Elizabeth Torrisi for capturing our "moments"
Well, the King and I were not meant to be and I hear he got a home up in Tarrytown with a textile designer and his partner. I’m sure he’s happy…and fashionable. 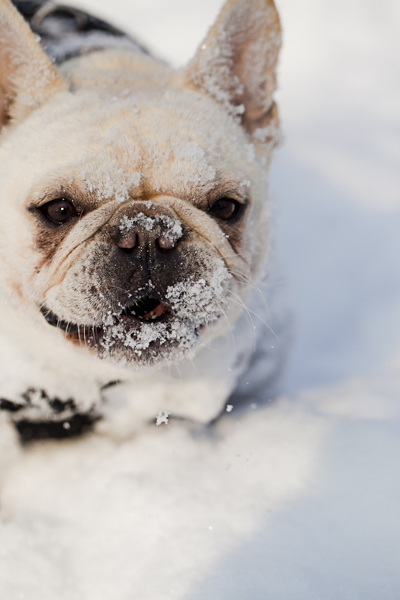 But, I think of him often and thought how fun it would have been to have him on my snowy morning photo shoot adventure this morning as I saw all the dogs running, jumping and eating their way through about a foot of snow. 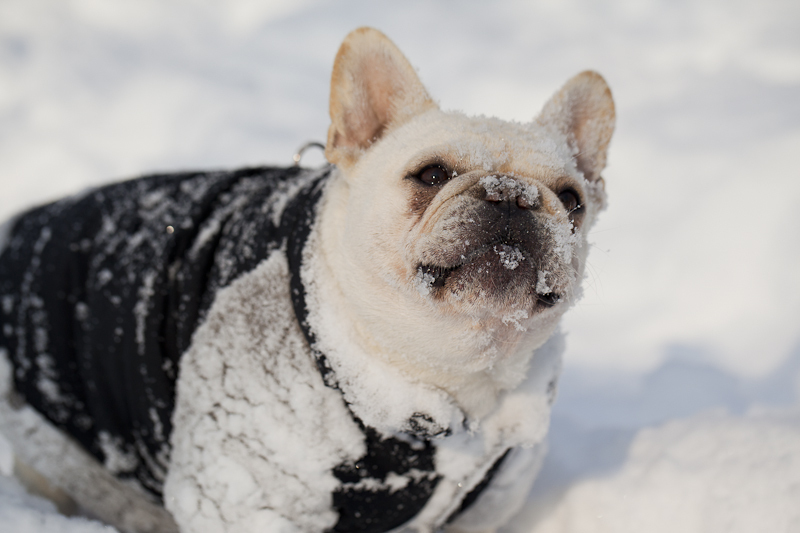 My favorite dog antics moment at Prospect Park this morning. What a CUTEY! The snow was taller than him. After my morning adventure, I got this adorable little guy in my inbox from the wonderful EcoSalon. I KNOW! Cute, right? It must be a sign. He’s got it all: color, texture, “hair” that won’t end up on the floor and furniture, eco-friendly (and no puppy pads required which is as “home eco” as it gets!) and he has silent communication skills. Perfect! I entered to win him of course. As a “stand in” until I can get a real “Turq”. He’ll look fantastic with a turqouise collar don’t you think? 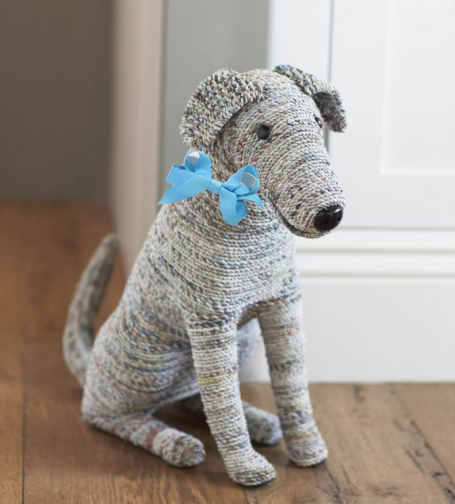 When you’re at VIVATERRA, make sure you also check out Rascal….SWOON!! Your Rover might need a playmate. You can enter to win Rover at EcoSalon, too. But not TOO many of you…I’m still recovering from my first broken heart after all. Now it’s public: I have a problem with neurotic fear of bars of soap. 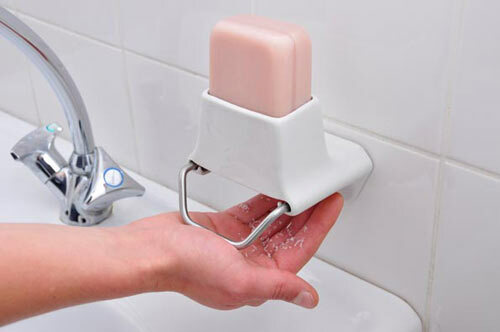 There is little that disturbs me, grosses me out, or confuses me more than bars of soap. They are supposed to clean my hands….but my dirty hands, and other people’s dirty hands (!!! ), are touching them and that dirt CAN’T magically disappear. I was a Biology major when I first started out in college. I had dreams of being a doctor (I know…now I’m here taking pictures and talking about color and dirty soap…isn’t life beautiful!). I took Microbiology and I did all those experiments with cotton swabs and petri dishes. All I can say is YUCK!! YUCK, YUCK, YUCK…in a beautiful, awesome, intriguing science geek kinda way of course! But I don’t want to wash with a beautiful, awesome, intriguing “petri dish”. Today, in my inbox, my fear was CURED! It magically disappeared (unlike the germs having a Rave on your bar of soap as you read this)! A wall mounted soap bar shaver that gives me soap without starting a germ Rave. And according to Nathalie, it’s more eco-friendly than liquid soap because bar soap is more concentrated which means water isn’t used to produce it. Not to mention you can package bars of soap in paper instead of using plastic bottles. Germ free, phobia free, AND I get to be an eco-princess? FANTASTICAL! And if this isn’t enough to change YOUR life…well get this. There is a shower version too. A “pepper mill” + the shower = things you’d NEVER do together. Which is what makes this even more fun! Who knew the idea of taking a pepper mill into the shower could CHANGE my life and rid me of fear. I’ll let you know if I find out where to pick up a Soap Flake so we can all fearlessly twist and grind our way through bars of soap! Thanks to DESIGN MILK for originally sharing this design. Changes Are Coming to melissaAnne COLORS! Welcome to the NEW home of the melissaAnne COLORS blog! You can still get your COLOR fix while I’m updating the new site. The melissaAnne COLORS Collection photography images are available here and you can follow me on Facebook for updates on the launch of the new blog. It’s coming soon and sure to be full of fun, color, design, and creativity. Thank you for supporting melissaAnne COLORS!